Utah’s vast canyons and striking mountains make it the perfect state to explore on a motorcycle, but riding one puts your safety in the hands of other drivers. If you’ve been injured in a wreck that wasn’t your fault, a qualified lawyer can help you get the compensation you need to recover. Riders are often blamed for motorcycle accidents, even when the other driver was at fault. That means motorcyclists are often robbed of their chance to receive compensation for their injuries and suffering. If you’ve been hurt in a wreck that was someone else’s fault, a Utah motorcycle accident attorney can help ensure that you aren’t unfairly blamed and that you have the best opportunity for collecting compensation after your motorcycle accident. If the insurance company or a jury is biased against motorcycle riders, you may unfairly lose your case or receive less compensation than you deserve. But your Utah motorcycle collision attorney can facilitate a fair fight. To do so, your lawyer will gather evidence to prove that you weren’t responsible. For you to receive the compensation you’re entitled to, your Utah motorcycle injury attorney will have to prove that another party’s negligence led to the collision. What Are Your Expenses After Your Motorcycle Accident? Keep your bills and receipts. You can be compensated for any expense or financial loss you have endured because of your Utah motorcycle accident. How Has Your Life Changed After Your Collision? Can you still ride your motorcycle, or have your injuries prevented you from doing so? Not being able to ride or enjoy some of your other hobbies represents damage to your quality of life. You can receive money for this by having your Utah motorcycle collision attorney request non-economic damages (pain and suffering). Non-economic damages can yield compensation to pay you for how your life has changed, any anxiety you are suffering, and even how your relationships have been affected. An experienced attorney can work to get you as much compensation as possible. In Utah, victims have four years to file a personal injury claim. This statute of limitations can limit your ability to receive compensation after your motorcycle accident. Getting started right away gives your motorcycle accident lawyer time to gather evidence while it’s fresh and available. 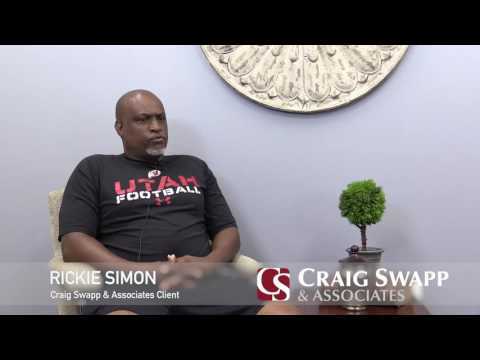 Craig Swapp & Associates can help with your case. Our experience representing motorcycle riders allows us to ensure that you’re treated fairly. You can schedule an appointment with a Utah motorcycle crash lawyer by calling 1-800-404-9000 or filling out the form below.